This breed was found in the 70's in central Italy, mainly in Toscana, Emilia, Umbria, arche, Abruzzi regions of Italy; crossbreeding the local breed with other Italian or exotic breeds such as: Bergamasca and Ile-de-France. There are an estimated 250,000 heads, spread out over central and southern Italy. Other names: Appenninica, Bariscianese, Chietina Varzese, Perugina del piano. 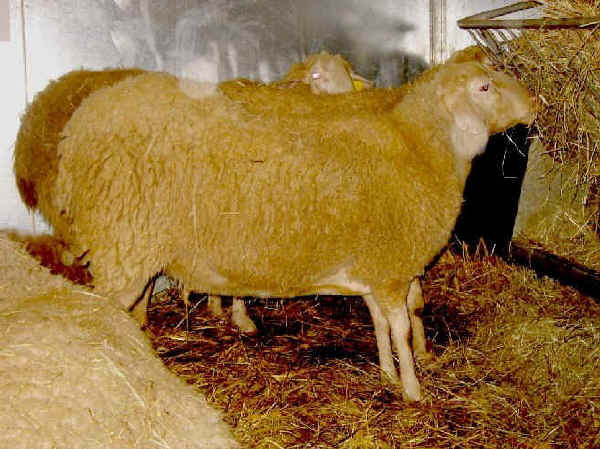 It is a medium wool breed kept primarily for meat production. It is polled and has semi-lopped ears. Uses: meat (primary production), milk, wool. Lean lamb: slaughtered at 50-60 days of age (live weight = 15-22 kg).